What an amazing moment, we made it all the way to ten years. We can still remember this very morning a decade ago, we had tried to go live on the 7th, but events conspired. Right up until almost 6 o clock on this day we were unsure if we would make it! But make it we did. And here we are, ten years later feeling very very proud and happy to have come so far. We want to thank all of our customers, they are the life force of the company. Your passion for our work is ultimately why we do this. And we're so glad we have been able to help so many people feel better, naturally. Being Additive Free has been our foundation and driving force. And we are very very proud of it. 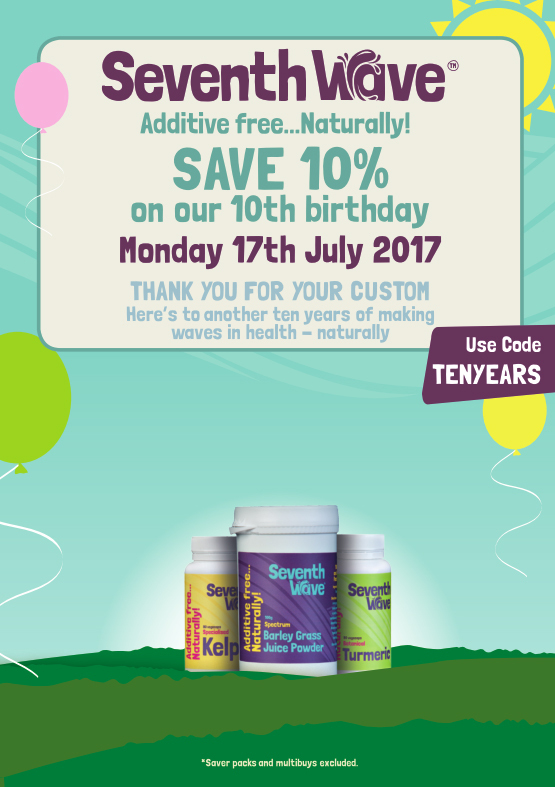 So please do use the code TENYEARS today and save 10%.